With the announcement and reveal of Battlefield 1, came an interesting chapter in the history of the video games industry and first-person shooters. 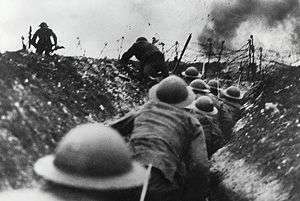 The first World War has not, generally speaking, been a part of history that has been covered by many forms of entertainment in modern times. Although there have been some feature films and television series, these have generally been of mainland European origin and not seen mainstream release in the United Kingdom or America. 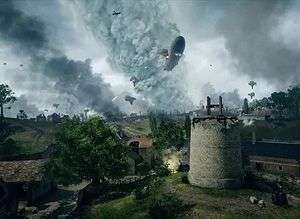 Video games are pretty much a similar story, although due to the popularity of turn-based strategy genre, World Wars have always been popular source material. Now (not for the first time) we have a first-person shooter on the horizon and it’s getting the Battlefield treatment. With any luck it will avoid the troubles and struggles that plagued the release of Battlefield 4 and have a larger community than Battlefield Hardline. I have no doubt that, given the lessons learned with these titles and the general success of Battlefront, Battlefield 1 has every chance of being a very entertaining product. For me though, the bigger question is what happens after the release of Battlefield 1. Of course, I’m talking about after the obvious slew of DLCs which, naturally, you’ll be able to purchase at the time of release as a season pass for the same price as the base game; this is EA after all, let’s not forget. I am optimistic that whatever happens, both developer and publisher will aim to keep this a respectable account of what is considered the bloodiest of wars. After the fact though, we find ourselves at an interesting crossroads of sorts. This point was always going to come, because much like we are finding out with Hollywood at the moment, original ideas are few and far between, rehashes, reboots and remasters opting to be the path safer travelled. The video games industry is still pumping out tons of original content but, as I said, this day was always going to come. At this crossroads we have a couple of different players, with a couple of different options. On one side, we have the various parties making different games for the Call of Duty series. These have gone from a more historical setting, slowly making their way into present day, and now, with Call of Duty: Infinite, they are heading into the far reaches of the future. Judging this next entry on recent history, the single player campaign will get some mediocre to just-above-average scores from the press, and the multiplayer will be more of the same but with ‘added feature X’ while subtracting ‘previously added feature Y’. The multiplayer will be regarded as more of the same and gamers will subsequently treat it like the second coming of Christ. On another side, you’re going to have the subject of this piece, the Battlefield series, currently gearing up for Battlefield 1. Having been reborn with the release of Battlefield 3, this series has seen nothing but success since its reincarnation in the modern day, partly thanks to the scale it is able to achieve that Call of Duty can only dream of, and partly thanks to the amazing job DICE did with the Bad Company series. Although Battlefield 4 and Hardline had their woes, the World War One setting is not the only reason fans are excited for this next entry. On the final side, you have every other major or minor first-person shooter studio and suffice to say, that is a large quantity of developers. I certainly do not need to list them all but you only need to glance at the history of gaming to note the volume and talent that has paid service to one of gaming’s cornerstones for the last twenty-five years. Owing to the fact that most of their history isn’t steeped in games that showcase different theatres of war, they possibly aren’t making world-war themed games right now. That being said, the theme has not been abandoned entirely. Enemy Front was released in 2014, albeit to a mild reception at best. You could be forgiven for thinking that no-one cared for the period anymore, but a successful Kickstarter for Battalion 1944 tells us otherwise. Surpassing its funding target by over two-hundred-thousand pounds suggests that this is still something that people want and desire in their lives. I could spend a whole article telling you why but, suffice it to say, the interest is there. It is with these three groups that we find ourselves at this crossroad of sorts. With the impending release of Battlefield 1, DICE and EA are possibly bringing us full circle in a way, back to where we started, many, many years ago. Looking at it from a purely business point of view, let us consider the possibility that Battlefield 1 is hugely successful. Let us consider it sells in the same region as the last Call of Duty (approximately twenty-two million units) or as well as Battlefield 4 (approximately twenty-five million units); where do they go next if this next game is a success? The options are somewhat limited to a degree. They could jump straight back to the modern era, visiting Bad Company, one of the ‘much loved by fans but often ignored’ series. Equally, they could treat the trip to the ‘war to end all wars’ as a one-off and make Battlefield 5, another modern title, that doesn’t touch the futuristic but does keep the warfare ‘modern’. The other possibility and the main query of this article, is a return to the well-tread ground of World War Two. 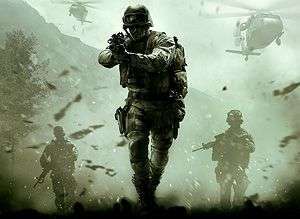 As a theme that has been given the treatment in dozens of first-person shooters, it is nothing if not resilient and only fell by the wayside when Call of Duty 4: Modern Warfare came barrelling into our lives, tossing its perks and prestige levels in our faces. 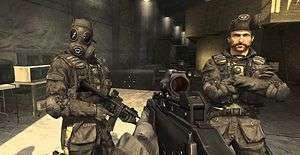 With that game, modern warfare became popular and spawned hundreds of different games, all modern or near-future themed. The World War Two theme, despite being around for so long, also hasn’t had the ‘modern’ take on multiplayers by a mainstream studio. No levelling system, no rewards and unlocks, and so forth. The last World War Two game with mainstream name attached to it was Medal of Honor: Airborne and that didn’t sell nearly as well as it should have (it was rather good, if not a little short). If Battlefield 1 is a success, the most logical and natural progression is to return to this time period, coming full circle from the days of Wolfenstein 3D. There are plenty of little hints that the public want games in this period (successful Kickstarters, support for Battlefield 1, success of recent Wolfenstein games), so what would be drawbacks? Well firstly, the very reason that Wolfenstein: The New Order was so successful was because it was so fresh. It didn’t massively mess with the source material, it lacked the invasive tendrils of a money-grabbing publisher and it had a first-class campaign. The Battlefield series has struggled with the single-player element for many years now and I can’t see that changing seeing as the multiplayer is the real reason they shift so many units. Secondly, with EA involved, it is likely that a full game and season pass is going to set you back close to one-hundred pounds. I loathe paying that much for the extra content, even if it was lots of fun. Lots of developers provide free updates containing levels, weapons, and challenges, so I do find it a bit of a bitter pill to swallow to have fork out the cost of a game again for this extra material. Finally, the multiplayer would very much be recycling battles we’ve seen before, lacking the fresh feel that The New Order delivered on. (Much to, quite literally, everyone’s surprise). World War Two is a theme that has been done time and time again, so could anyone really put a fresh slant on the multiplayer? The major concern for me is the possibility that the success of Battlefield 1, will invoke the creation of another World War Two game by a major developer which will, in turn, kick off a new wave of games in this theme. If that’s where the money goes, there is every possibility of the Call of Duty developers and every other games developer wanting their piece of the pie. World War Two was the ‘zombies’ of yesteryear. Every other game was set in this era, every other game had a stealth mission, a rescue mission, a sniper mission, and so on and so forth. Sure, it could be argued that this a mould that largely fits into lots of first-person shooters but if the theme is different every time, it allows for some flexibility. We would, in essence, come full circle should we see slews of games released that once again take up the moniker of World War Two. I’m not saying they can’t be good, but what I am saying is that it feels like we should be looking past the scope of our own history at this stage, creating new and engaging things and not aiming to recycle things from the archives. There are too many examples of games already being remastered and redelivered out to the masses. With such a varied and already well documented time period within gaming, possibly being dusted off for another round of gamification, I hope developers can look past the obvious choice and continue to aim for higher heights.